The Times takes an exhaustive look this week at the so-called “blowout preventers,” complex devices that wrap oil pipes deep underwater, near where they emerge from the earth, and are designed to shut off leaks in the event of a catastrophe. Specifically, the paper looked at the effectiveness of “blind shears,” contraptions that cut through pipes in times of emergency and seal them off. The shears have to create thousands of pounds of pressure to get through the tough metals of the pipes, and have to create a perfect seal. The devices are incredibly complex and contain many parts that can easily fail and render the enter machine ineffective. It’s not that the oil companies and the government don’t know about these risks — the devices have been tested many times over the past ten years — the problem is that the known problems weren’t compensated for, and in the case of the Deepwater Horizon well currently gushing oil into the Gulf of Mexico, a commonly installed backup blind shear wasn’t even built. The Times study is full of a lot of very obscure facts and technology, and while it casts some blame on the “Obama administration,” it’s impossible to imagine that the president himself, or even anyone in the White House, knew anything about these subjects before April 20. Not that this matters when, as the evidence increasingly suggests, the government has systematically failed to protect us and the environment from exactly the disaster that unfolded so quickly this spring. I don’t think there’s any doubt that the explosion on the Deepwater Horizon rig had a man-made cause. We have an eyewitness survivor of the blast now willing to say that the blowout preventer was leaking for weeks before the explosion, and BP and Transocean failed to repair the valve in response, merely shutting it off instead. If they actually repaired it, that would shut down production. The last line of defense, the “blind shear ram,” designed to slice the pipe and seal the well in the event of a disaster, malfunctioned, and BP never had to show proof that the technique would actually work. In fact, the Deepwater Horizon, unlike every new BP well, had only one blind shear ram; two are now standard. A legitimate Minerals Management Service could have known about the leaking blowout preventer before the blast. It could have acted on the inherent problems with the blind shear ram and the oil industry’s failsafe measures in general (blowout preventers have a 45% failure rate, according to a confidential Transocean report). But we didn’t have a legitimate MMS to deal with this disaster. We have 62 regulators dealing with over 4,000 offshore rigs in the Gulf of Mexico. According to a memo released by Congressman Ed Markey, BP put a top level estimate on the amount of oil spilling into the Gulf at around 100,000 barrels a day. That’s significantly higher than even the current U.S. Government guess of around 60,000 barrels/day. Speaking of the blowout preventer, a worker on the Deepwater Horizon, the offshore oil rig whose collapse killed 11 and kicked off the worst spill in U.S. history, says that he and his employers attempted to notify BP of problems with the blowout preventer weeks before the April 20 disaster. 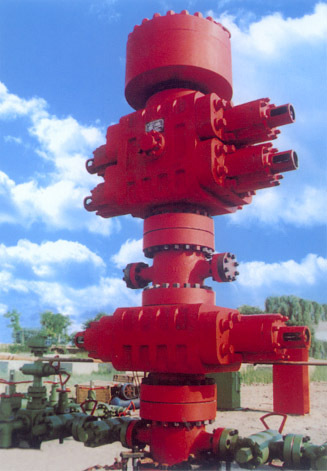 The blowout preventer has two control pods that work to operate the device that should have stopped the massive amount of leakage into the Gulf. But, speaking to the BBC over the weekend, the worker says that BP ignored warnings from those aboard the rig. “The greatest challenge in reorganizing and reforming MMS lies with the culture—both within MMS and within industry,” Kendall told the House Natural Resources Committee in little-noticed comments last Thursday. Regulations are lacking and are “heavily reliant on industry to document and accurately report on operations, production and royalties,” Kendall said. The training programs for MMS inspectors are “considerably out of date,” and “have not kept pace with the technological advancements occurring within the industry,” Kendall said. Remember the Ixtoc I well blowout of 1979, that released about 3.3 million barrels of oil into the Gulf of Mexico over more than ten months? Not many North Americans do — because they were less environmentally conscious, because it occurred in Mexican rather than U.S. waters, because Iran’s Islamic revolution and the Soviet invasion of Afghanistan filled the airwaves and the headlines, or even because many of today’s adults were too young to notice, or even unborn. And that’s one of the big problems behind the BP oil spill. In 1977 the University College London civil engineers Paul Sibley and Alistair Walker published a paper suggesting that major bridge collapses occurred at approximately 30-year intervals as new designs succeeded old as a result of the failure’s lessons, new generations of designers became increasingly confident in the safety record of their innovations, until they finally pushed them over a tipping point, beginning a new cycle. The civil engineering professor and historian of technology Henry Petroski has developed this idea, which last came to the fore in the Minneapolis bridge collapse of 2007, as discussed here and here. My graduate teacher William H. McNeill coined a mordant phrase for such recurrence of disasters partially as a result of confidence in reforms, the Law of the Conservation of Catastrophe. “The last time you saw a spill of this magnitude in the Gulf, it was off the coast of Mexico in 1979. If something doesn’t happen since 1979, you begin to take your eye off of that thing.” That was what a senior administration official recently told a McClatchy reporter, in regards to the Gulf gusher. As it turns out, this is a pattern with engineering accidents, be they bridge collapses or oil-platform blowouts. Disaster strikes, a flurry of safety improvements follow, but then engineers get over-confident in their new innovations, and eventually disaster strikes again. As long as we stay addicted to crude, it’s hard to see us escaping this cycle—especially since we’re using up all the “easy” oil, and companies need to keep foraging deeper and deeper into the ocean, continually pushing the boundaries of safety technology.